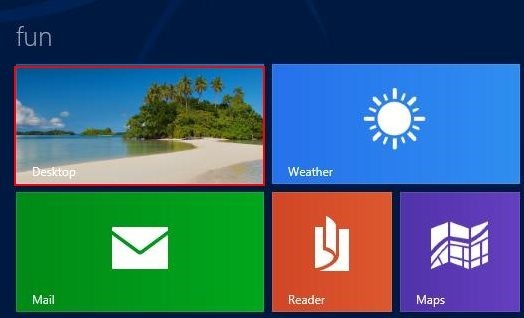 Here is step by step tutorial on how to make the computer icon appear on the desktop of Windows 8. In the recent Windows version like Windows 7 and Windows 8, you will not find the computer icon, as its hidden by default . But users of Windows 8 and Windows 7 can easily make the computer icon appear or visible on their Windows desktop screen. If you really want the Computer icon to appear on your Windows 8 desktop, then you have to follow these simple steps which I mentioned below. Don’t forget to check out our recent post on Fresh Paint for Windows 8. Firstly go on to the start screen of Windows 8. If you are on the start screen then click on desktop tile to access the desktop. Now right click on any empty space on desktop and select the personalize option from the available options. In the Window of Personalization, click on change desktop icons option available on the left side of the Window. When you click on change desktop icon option, desktop icon settings window pops-up in which various icons are available with computer icon. You can also select other icons for Recycle bin, User’s files, Control Panel, Network to appear on the desktop. 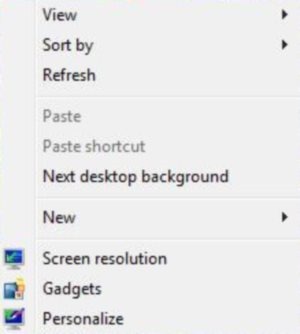 Check the computer option under Desktop icons and click the OK button located at the bottom of the Window. Now close your personalization window. Finally you will get the computer icon on your Windows 8 desktop. Follow these simple steps to make the computer icon appear or visible on your Windows 8 desktop.